What was the real reason for the worst financial crisis the world has seen since the Great Depression of the 1930s? Was the problem really subprime mortgages? Predatory lending? Fannie Mae, Freddie Mac and government policy? Rating Agencies failing to do their job? Banks too big to fail?... Or was it something else? Inside these pages, Howard B. Hill points to another reason why the financial gears of our global economy froze in 2008. As a Wall Street professional for over 25 years, Hill was one of the key individuals responsible for building the mortgage securitization market, and he understands it the way few do. 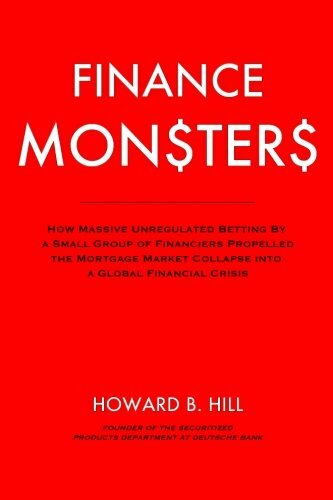 He analyzes the securitization market from its inception through its glory years through its disastrous legacy. He takes you onto the trading floors, to meet the people who made the market boom...and bust.